The Village of Lumby and surrounding area is policed by a five member RCMP Detachment. 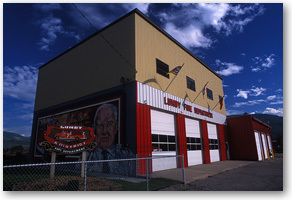 Lumby Detachment is located at 2208 Shuswap Avenue at the corner of Shuswap Avenue and Glencaird Street. Consisting of 24-30 volunteer members the Lumby & District Volunteer Fire Department serves the community under the direction of the Regional District of North Okanagan. The BC Ambulance Service services the Village, with a service directly out of Lumby. Learn more about Emergency Management BC click here. Prepared BC your one-stop shop for disaster readiness information.